From producing superior beef calves to improving biological connectivity and embracing circular economic models, ABP is spearheading sustainability across the agribusiness supply chain. 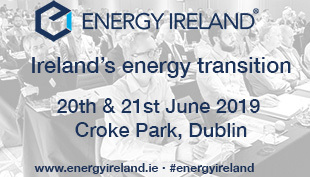 ABP Sustainability Manager John Durkan writes. ABP Food Group is one of Europe’s leading agribusiness companies employing more than 10,000 across 51 processing sites in nine countries. The company was founded over 60 years ago and operates across four divisions: Beef, Renewables, Pet Foods and Proteins. ABP is recognised globally for supplying high quality beef for the retail, food service and manufacturing sectors. Sustainability is a key driver of ABP’s business and its sustainability strategy which is based on the United Nations Global Sustainable Goals, includes a number of industry-leading programmes. Last year, ABP became the first company globally to receive quadruple certification from The Carbon Trust in recognition for its actions in reducing energy use, CO2 emissions, water use and waste output, in addition to its collaborative work on the environment within the supply chain. The Carbon Trust is an independent assessor and trusted global expert in low carbon issues and sustainable strategies. Many projects across ABP’s supply chain have contributed to this prestigious international accreditation ranging from genetic research into more sustainable beef production, improving biological connectivity through bio-diversity areas to providing a circular solution to waste management. 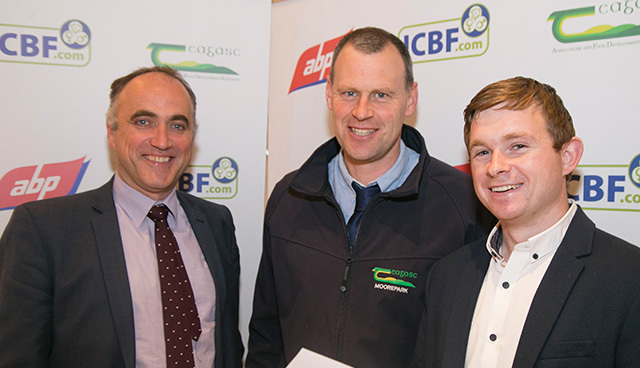 Since 2015, ABP have been conduction a major study in conjunction with the ICBF and Teagasc at a research and demonstration farm in County Wexford. The trial is looking at identifying more economic and sustainable beef bulls to produce superior beef calves from the dairy herd. Its aim is to increase profitability for the dairy farmer through short gestation and easy calving as well as minimising the number of low value dairy-bred bullocks. Beef farmers will benefit too through a guaranteed supply of quality animals with better feed conversion, delivering a better product for the consumer and added economic benefits for the farm. Initial results indicate that improved genetics in the dairy herd can improve carcass weight and feed intake for the beef farmer without compromising calving difficulty or gestation length for the dairy farmer. Over the past number of years, ABP has introduced biodiversity areas to many of its sites in Ireland and the UK. Today, these areas make up one-fifth of the company’s footprint in Ireland. They provide food, shelter and safe passage to many species helping to protect existing natural populations while also improving biological connectivity. ABP Rathkeale, County Limerick has an 18-acre biodiversity corridor integrated into its 32-acre campus which is home to native Irish fauna and flora in a protected natural environment. Environmental Manager Paudie Reidy explains that an integral part of the biodiversity initiative in Rathkeale is the rehydrated marsh area which has been rejuvenated by diverting rainwater from the 8,000m2 of roofs on site. “We believe the protection of local ecosystems as critical towards sustainable development. We have also planted some 1,500 trees and encourage the population of a number of apiaries on the site,” reveals Reidy, a native of Athea, County Limerick. The marsh habitat on a portion of the site is kept alive by redirecting the flow of rain water from the roofs of the nearby factory. “This is a habitat type that is in decline across the country and provides the perfect home from Rana Temporaria – the common frog – Ireland’s only species of frog. “Rana Temporaria is protected under the Wildlife (Amendment) Act 2000 as its habitat is being encroached upon because of ongoing developments around the country. “Thankfully our biodiversity corridor provides increased shelter and forage for the frog in area we are committed to preserving for its habitant. We let nature takes its course here and do everything we can to make sure the frog and other flora and fauna is not disturbed,” explains Paudie. 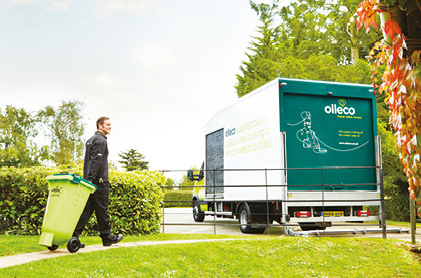 In the UK, Olleco, ABP’s renewable division has created an organic recycling initiative that provides a circular solution to the problem of waste produced by the food manufacturing, catering and hospitality sector. The company’s recycling centre in Liverpool features a biodiesel plant powered by the outputs of an anaerobic digestion plant. The project is complex in its design but simple in its concept. Olleco collects food waste, used cooking oils and fats from its 50,000 food industry customers (hotels, restaurants, pubs, fast food outlets and canteens) who would otherwise throw waste food into landfill and pour used oils into the drains. Once collected, the wastes are transferred to Olleco’s recycling facility, which uses the waste food to produce renewable heat and power which in turn is used to run a conversion technology that produces biodiesel from the used oils and fats. A great example of a successful circular economic model; the final product saves more than 95 per cent Greenhouse gas emissions compared to fossil fuels. Olleco was the 2015 winner of the innovation award in the waste category of the Guardian Sustainable Business Awards. The Guardian judges commented that the company’s efforts to recover value from food waste represent a great step forward for the circular economy, whereby waste is continuously recaptured and given a new lease of life.